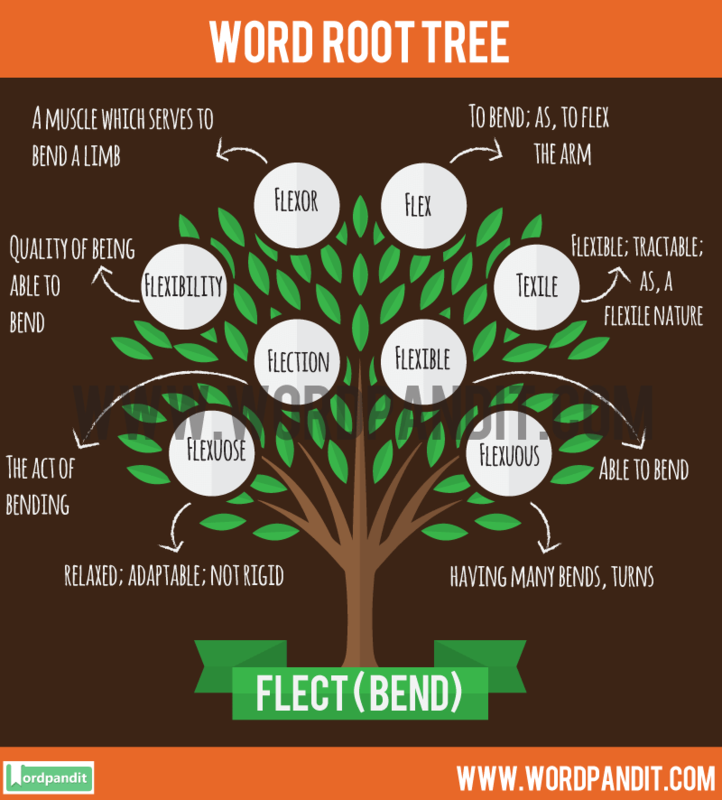 The root word flect comes from latin, and means ‘bend’. There are multiple words based on this root word flect. deflect means to bend course because of hitting something. And something which is flexible is easily bending. With this, our lesson on root word Flect comes to an end. Hope you’ve learned many new words based in the root word Flect. Keep learning, keep growing!